Do you remember when the first Segways came out? They were a big deal, and they were heralded as the future of transportation by tech gurus and regular people alike. While that prediction didn’t exactly come to pass, the fact is that the Segway is still the best way to get around, and it’s only getting better. For example, take the Segway MiniPRO version of this incredible device. Instead of having a big, bulky machine that can take up a lot of room, you can zip around town in a compact version that will still offer all of the same benefits, just in an easier to use model. 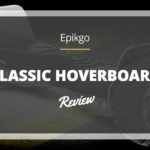 If you’ve never tried a Segway before, then you will want to take advantage of the MiniPRO and feel the difference today. One of the best things about this particular model is that it is fully integrated into the future. As our cars become more high-tech, they can sync with your phone so that you can handle music, security, and climate control easily. With the Segway MiniPRO, you can have the same level of connectivity, all from your iPhone or Android device. 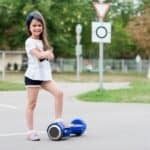 Part of the reason that the Segway is so popular is that it has a high ground clearance, meaning that you can go almost anywhere you want without getting bogged down or slowing because you get stuck. The MiniPRO is no different, with tall pneumatic (air-filled) tires that can handle almost any type of terrain with ease. Additionally, this device comes with military-grade suspension, meaning that you get the smoothest ride possible, no matter if you’re on the street or riding across the grass. Whenever you’re riding around in something, be it a bike or a Segway, you want to make sure that you don’t have to worry about it breaking on you or collapsing under your own weight. With that in mind, the MiniPRO has a high-quality, aircraft aluminum frame that can withstand most punishment, and it also gives this device a high weight capacity. Most mechanical scooters of this size can only take about 150 pounds, but thanks to the frame this Segway can hold up to 220 lbs, making it ideal for children and adults alike. Finally, the most important aspect of a Segway is how well it can perform. Although it may be small, the MiniPRO has a powerful 1600-watt dual motor which can propel you down the street at speeds of up to ten miles per hour. Also, the battery that is included has a lot of juice in it, which gives you a range of about fourteen miles. Thus, when you do the math, you can ride this machine for up to an hour and a half without ever breaking down or needing to recharge. Q: What is the weight capacity of this machine? A: According to the manufacturer, it can hold up to 220 pounds. Q: How heavy is the unit itself? A: The mini-Segway weighs about twenty-eight pounds overall. Q: Is this an all-terrain device? A: It can go over most flat or paved surfaces, including cobblestone streets, but it won’t work too well on gravel or sand. Grass is okay, though. 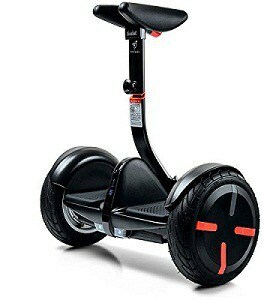 Overall, if you’ve been thinking about getting a Segway, then we would highly recommend that you start with this model. Instead of committing to a full-size version, test yourself with the MiniPRO so you can see if augmented movement is right for you. With a powerful motor and a long distance range, you can get a lot of mileage out of this device, making it ideal for campuses or office complexes where you want to get from place to place quickly and don’t want to have to hop on a bicycle to do so. 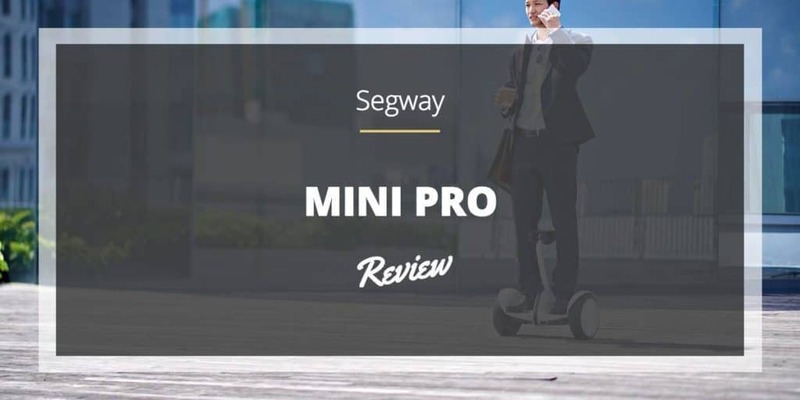 Buy Segway MiniPRO on Amazon, Now!